Learn why air filter replacement is vital and how to protect your personal environment and furniture when you clean the ducts. It can get quite messy when you try to clean your air ducts. Dust and other contaminants can move in your home as you try to remove them. Our experts here in Air Duct Cleaning Temple City recommend protecting your carpets and furniture before you clean the ducts. 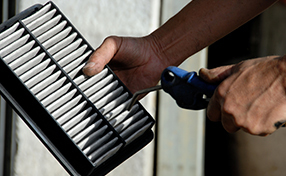 It is recommended that you change filters regularly, as this can help in maintaining a clean air duct system. This helps especially when your filters get clogged often. Doing so prevents dirt from always clogging in the ducts, which can affect the quality of air flowing in. Air filters are responsible for purifying the air from the bigger particles such as dust and animal hair, and they can only hold so much volume of dirt. After that, air moves through slower and the quality lowers as well. 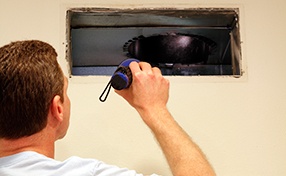 According to our experts, failure to replace air filters is a serious air duct concern.